The challenge is to use flats (flat diapers, terry squares, old fashioned nappies that your granny used) on your baby for a week instead of disposable nappies or more expensive modern cloth nappies AND (yes there’s more) wash them by hand. For one whole week. Now if you’re a modern mum who uses modern conveniences like disposable nappies and washing machines then this would be a challenge for you. 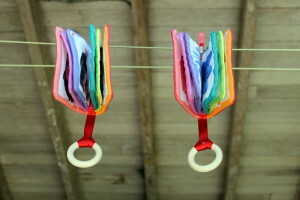 Not so much of a challenge for us because we already use cloth nappies including flats. The challenge for me this week will be the hand washing. So how did day one go for us? It went OK. So far so good! Our missy started the day in an origami-folded bamboo flat under a pair of home-made wool longies. 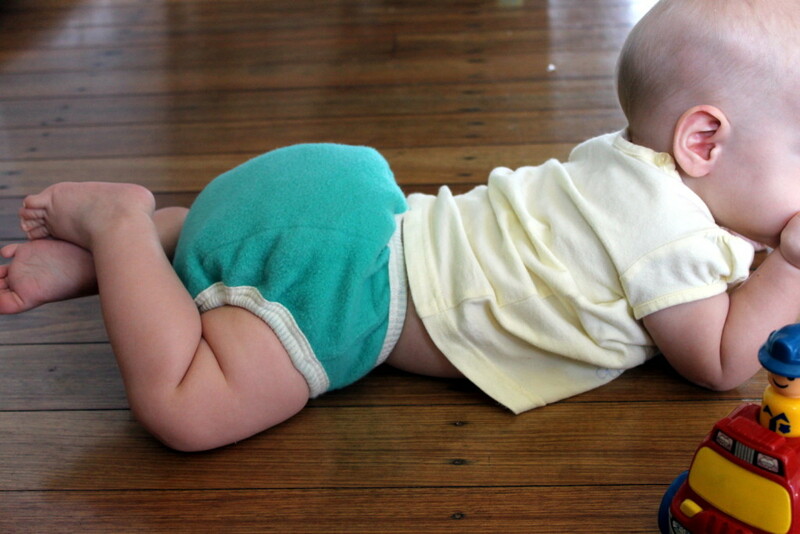 It’s officially “winter” here in the tropics so it’s a bit nippy in the mornings and wool longies are just right for a baby that’s still commando crawling on the floor. After breakfast I changed her into a birdseye flat pad-folded in a BBH (BabyBeehinds) velcro wool cover. 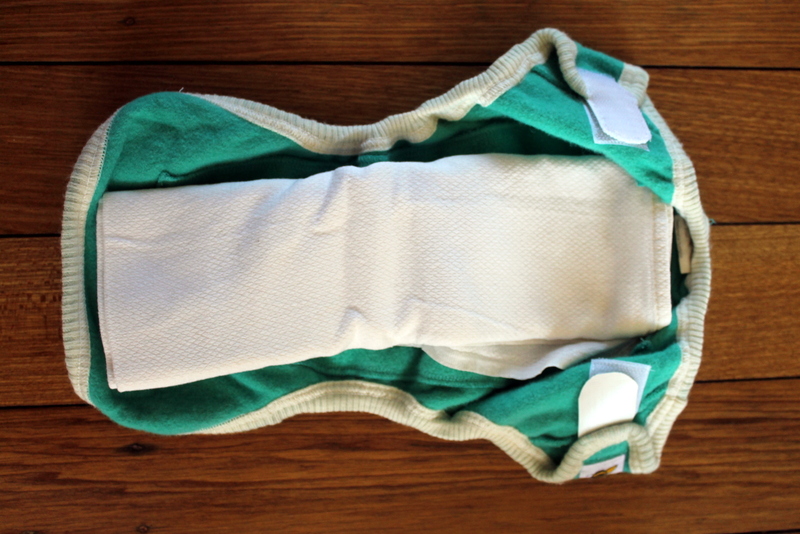 One benefit of the wool cover (or PUL/fleece) is that when baby wets herself all you need to do is just replace the pad-folded flat. You can re-use the cover over and over until it gets soiled. So our girl stayed in that wool cover most of the day until a monster poop put it in to the washing pile. And I’ll write about that washing pile TOMORROW. Flats Challenge Day 2 Yes I am!